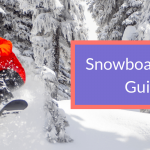 Make the most out of your time on snow by introducing nootropics to your riding. Alpha Brain aims to boost mental function like memory, concentration and cognition. This all-natural dye free supplement is packed full of vitamins, nutrients and herbs specifically designed to boost your brain function. 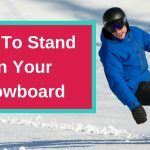 Have this organic fuel with breakfast to optimise your snowboarding for the day! 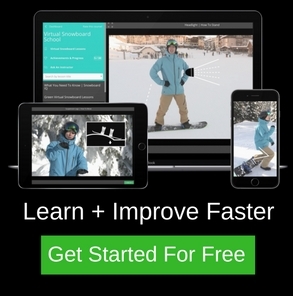 Sharp mental function is crucial when snowboarding to help keep you safe and give you the edge with laser focus. Many well-known personalities, NFL stars and pro athletes such as Joe Rogan, Brian Cushing and AJ Hawk regularly use this product for the performance it gives them in their field. Get in the zone to ride hard and dominate those runs you’ve always wanted to try! Who Uses Alpha Brain and Why? Athletes love Alpha Brain due to its capacity to quicken reaction time and heighten abilities to analyse complex information and patterns. 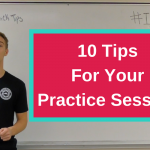 This can be especially beneficially when trying to learn a new trick or on a tough training session. Students, workers, executives and business owners praise the boost in focus and mental energy. Alpha Brain delivers non-stimulant based energy, so you don’t get the jitters like after a cup of coffee. This makes it a much more sustained and natural energy boost. Speakers and performers comment on their ability to recall words, lines and generate ideas quicker in verbal flow. Doctors are now starting to recommend the wealth of nutrients to keep the brain agile and healthy. • Alpha GPC: Raw source of Acetylcholine, a neurotransmitter that is crucial for communication between muscles and nerves in the body. Known for its ability to boost brain function, sharpness and mental speed. • Huperzia Serrata: Plant extract containing Huperzine A; a biologically active compound that is a Acetylcholinesterase (AchE) inhibitor. AchE is an enzyme that causes the breakdown of Acetylcholine. As AchE is stopped by the extract, it makes more Acetylcholine fresh to use for the brain. Improves memory and contributes to a boost in lucid dreaming. • AC-11: A potent super herb, known by native cultures for its ability to improve immune function and its powerful antioxidant/anti-inflammatory properties. Studies have shown this extract to help with DNA repair and collagen 3 production. Fires up your mental drive and clarity. • Bacopa Monniera: Ayurvedic brain-boosting herb that has been used for centuries by native cultures. Improves memories, recall, learning and mental clarity. Has powerful antioxidant properties and prevents the degeneration that damages our cognition. • Vinpocetine: Helps with the dilatation of blood vessels. Improves blood flow and helps get oxygen and essential nutrients to the brain. • Phosphatidylserine: Crucial lipid compound known to be flush within brain cell membranes. Helps to decrease stress and enhance exercise performance. Supports brain function in activities that are cognitively demanding. • Pterostilbene: A natural and strong micronutrient / antioxidant. Aids in lowering cholesterol and the antioxidants help eliminate free radicals that cause “mental fog”. Stops the decrease of brain function as we get older. • L-Tyrosine: Amino acid that is known to boost brain function and is important to the production of Dopamine. • L-Theanine: Similar to the GABA mechanism. Helps cell signals to fire improves reaction time, boosts speech and mathematical ability, while also calming the body and aiding relaxation. • Oat Straw (Avena Sativa): A nutrient known to relieve stress and a wealth of temporary nervous conditions. Boosts focus and clarity while helping Alpha Brain become a balanced nootropic..
Not everyone’s body works the same but generally, people report the best results from 3 to 4 pills a day. Take 2 pills in the morning with breakfast and one in the late afternoon or evening before bed. 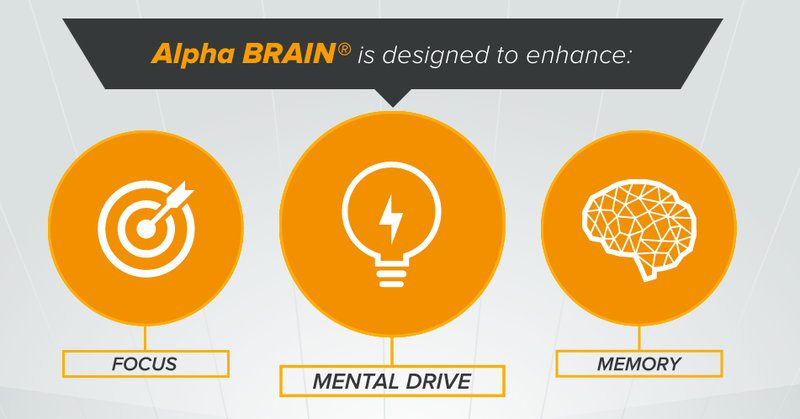 Before an exam or strenuous mental activity, try an Alpha Brain capsule to give you that cutting edge. Never take more than four capsules a day. The Alpha GPC contained in the capsules is a source of Acetylcholine. Studies carried out on Acetylcholine reveal that it can regularly make dreams much more vivid and even induce lucid dreaming. Acetylcholine helps to regulate REM sleep. As more of it becomes available to the brain through taking Alpha Brain the REM cycles during sleep become more persistent and broad. Some users report side effects of headaches or pressure in their heads. This can be chalked up to the increase of Acetylcholine production in the brain. Simply stop taking Alpha Brain if these symptoms persist. Another criticism throughout the nootropics community is that it does not contain any Racetams. Many other nootropics use this to deliver a short increase in cognitive function, mental focus and memory recall. 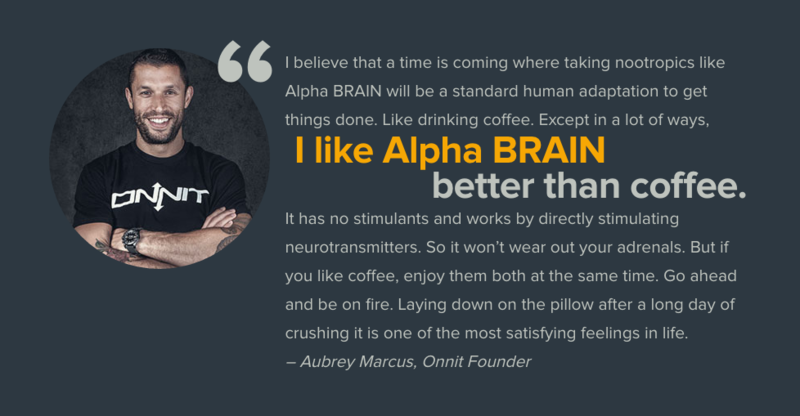 Onnit Alpha Brain is a natural & balanced potent nootropic that can deliver: razor focus, enhanced memory, improved word recall and a boost in mental clarity and drive. There are a wealth of positive testimonials, however, the results are highly individualised. The best thing to do is try for yourself. If you are sceptical do not worry as Onnit have a full money back guarantee! It will not make you a genius over night but will give you an advantage and optimise brain function. 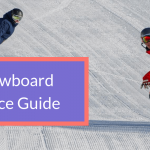 Let your brain feel ‘clean’ and fire at a higher RPM, helping you to achieve greater success on snow!